Orthotics are inserts specifically molded to YOUR foot which help stabilize your ‘pedal mechanics’, meaning the position of the bones of your foot during your stance, walking and running phases. Consider your spine and pelvis as an upside-down capital “T”. Now drop 2 lines down from the ends of that “T” toward the floor to represent your legs. As your legs move, your pelvis and spine need to be balanced in order to alleviate stress and physical wear to the spine. If there should be an inherent problem which causes an imbalance, over time you can develop everything from ankle, knee, hip and back pain based on this ‘wheels-out-of-alignment’ distortion. 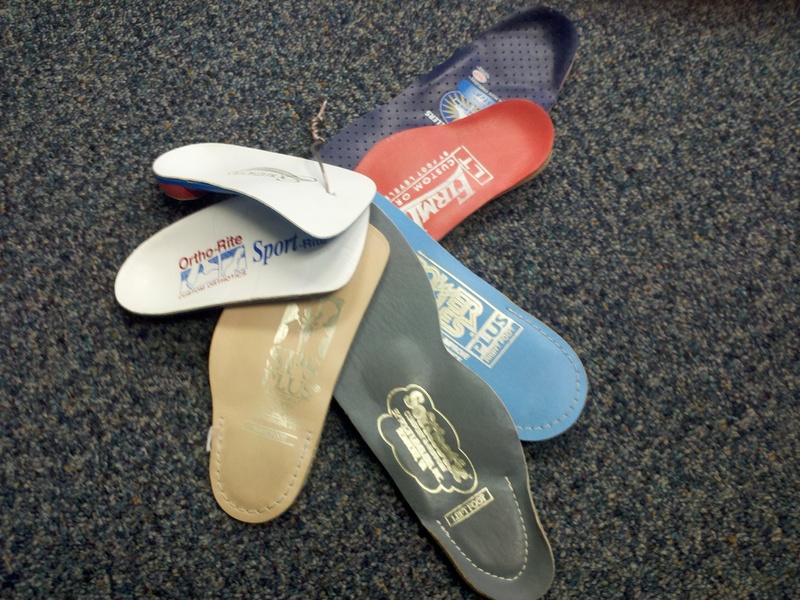 Orthotics help align the foot’s mechanics…YOUR foot’s mechanics – considering each pair of orthotics is specifically molded to each patient individually. You’re not getting the “Dr. Scholl’s” inserts which are mass-produced for millions of feet at one time. Additionally, custom-prescribed orthotics can address other anomalies, such as heel spurs, plantar fascitis and uneven leg lengths (by adding height to one side – up to 7 mm). An anatomically short leg causing the spine to curve toward the short leg side. The best way to determine if you have an anatomical leg-length difference is by taking an upright X-Ray of the lumbar spine and pelvis. Given the above “upside-down letter T” example above, if there is an anatomical deficiency of length on one side seen on the X-Ray, the spine usually tilts toward the short-leg side and then will compensate, causing a scoliosis – or lateral bend. Many times these scoliotic discrepancies are first noticed by attentive parents. Scoliosis-screenings at schools have let too many of these go unnoticed, and because of this chiropractors are best at evaluating this. 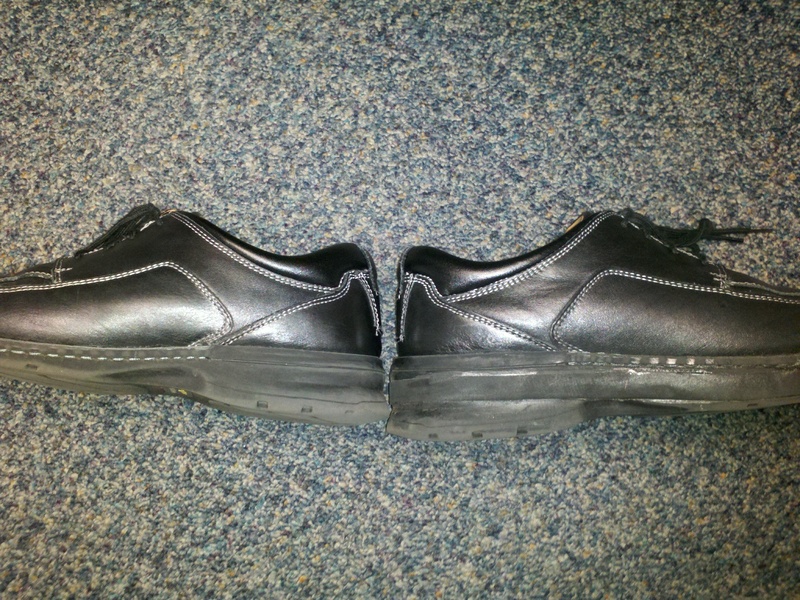 Shoes with a 1/2″ sole life (R). People with anatomical leg length differences over 1cm can still get orthotics, but may need to have the soles of their shoes lifted to correct this problem – as adding such a drastic height to an orthotic brings the heel too far out of the shoe. Women can get orthotics for high-heels of up to 2 inches. Higher than that the orthotics are pretty useless, considering she’s essentially walking on her toes. So, if you’re serious about spinal correction, wear heels with less than a 2″ lift. Orthotics are also not going to work in sandals, flip-flops, Crocs, etc., as they need to be able to stay IN the shoe to be useful…so obviously there’s less compliance during summertime. There are a few companies that offer “Sandalthotics”, in which the orthotic is part of the sandal, and though the idea is wonderful, the designs/styles are limited to what the orthotic company offers…so if comfort outweighs vanity, there are options.. Published	on 07/29/2011 at 12:57 pm Comments Off on What About Orthotics? ?